Tri-County North Local Schools had 22 students participate at District 7 History Day in Piqua on Saturday, March 2. Six of those students are advancing to state competition at Ohio Wesleyan College on April 27. 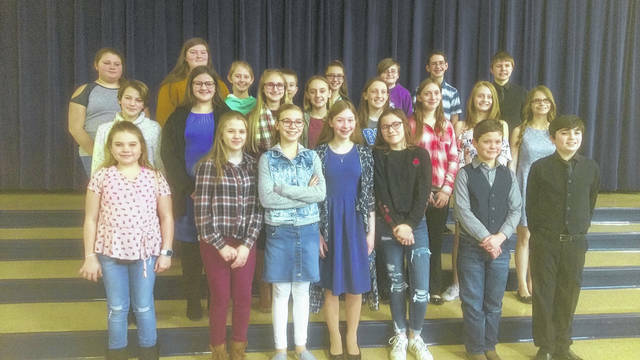 LEWISBURG — Tri-County North Local Schools had 22 students participate at District 7 History Day in Piqua on Saturday, March 2. Six of those students are advancing to state competition at Ohio Wesleyan College on April 27. Students advancing to state included: Carley Lands, Brianna Wagoner, Parker Williams,Devin Corrington, Matthew Davis, and Lillian Davis. According to Tri-County North History Teacher Debbie Pierson, National History Day is a nonprofit educational organization that promotes the teaching and learning of history in middle and high schools around the world through a variety of programs for teachers and students in grades. The largest program is the National History Day Contest. Established in 1974, the National History Day Contest encourages more than half a million middle and high school students around the world to conduct original research on historical topics of interest. Students present projects at the local and affiliate levels. The top two projects from every category are invited to the Kenneth E. Behring National History Day Contest at the University of Maryland at College Park. “Parker and Devin competed at nationals last year and received an honorable mention award. Their topic last year was the Nuclear Conflict: Peaceful Compromise The Cuban Missile Crisis. Last year’s theme was Conflict and Compromise. They are eighth graders and this is their third year competing,” Pierson said. “Lillian Davis is a sophomore and this is her fourth year competing. She is a repeat district winner and has competed on the state level as has Brianna Wagoner, a seventh grader who advanced to state on her first attempt last year. Carley Landis and Matthew Davis are sixth graders who advanced to state on their first attempt. Pierson added, this year Brookville also competed and brought its 7th and 8th graders to districts. There were the most entrants ever in District 7 this year. https://www.registerherald.com/wp-content/uploads/sites/41/2019/03/web1_IMAG0405_1.jpgTri-County North Local Schools had 22 students participate at District 7 History Day in Piqua on Saturday, March 2. 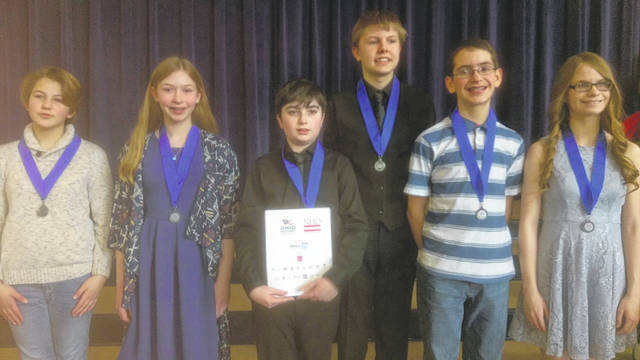 Six of those students are advancing to state competition at Ohio Wesleyan College on April 27.